An 18-year-old Saudi woman who said she was abused by her family and feared for her life if deported back home has left Thailand for Canada, which has granted her asylum, officials said. The fast-moving developments capped an eventful week for Rahaf Mohammed al-Qunun. She fled her family while visiting Kuwait and flew to Bangkok, where she barricaded herself in an airport hotel to avoid deportation and grabbed global attention by mounting a social media campaign for asylum. She had renounced Islam, which is punishable by death in Saudi Arabia, and in interviews over the past few days spoke of physical and psychological abuse she had suffered at the hands of her brother and father. Her case highlighted the cause of women?? ?s rights in Saudi Arabia, where several women fleeing abuse by their families have been caught trying to seek asylum abroad in recent years and returned home. Human rights activists say many similar cases go unreported. Qunun is flying to Toronto via Seoul, South Korea, according to Thai immigration police chief, Surachate Hakparn. 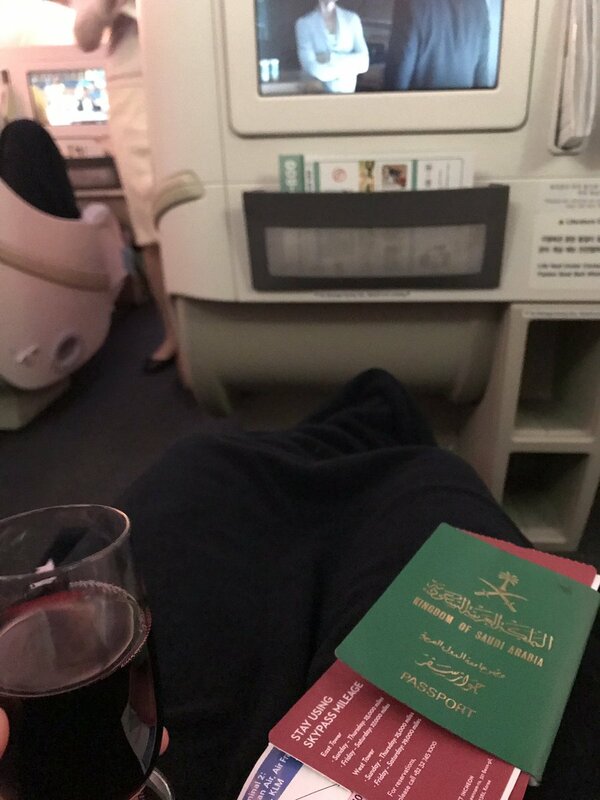 This was confirmed by Qunun who tweeted an image of her on board a plane, with the caption ?? ?third country ??? I did it???. ?? ?I would like to thank you people for supporting me and saving my life,??? Qunun wrote. ?? ?Truly I have never dreamed of this love and support. You are the spark that would motivate me to be a better person.??? Speaking at a press conference on Friday night, Surachate said Qunun was ?? ?lively, she?? ?s smiling and healthy,??? and intended on bettering her English when she arrived in Canada. Surachate confirmed her had met with Qunun?? ?s father, who denied abusing his daughter but said she might have felt ???neglected??? as one of ten children. The Canadian prime minister, Justin Trudeau, said he was pleased to offer her asylum because ?? ?Canada is a country that understands how important it is to stand up for human rights and to stand up for women?? ?s rights around the world and I can confirm that we have accepted the UN?? ?s request.??? Several other countries, including Australia, had been in talks with the UN?? ?s refugee agency to accept Qunun, Surachate said earlier in the day. ?? ?She chose Canada. It?? ?s her personal decision,??? he said. The decision is likely to exacerbate Canada?? ?s already poor relations with Saudi Arabia, which last year barred the Canadian ambassador to Riyadh after Ottawa criticised Saudi authorities for detaining women?? ?s activists. The office of the UN high commissioner for refugees welcomed Canada?? ?s decision. ?? ?The quick actions over the past week of the government of Thailand in providing temporary refuge and facilitating refugee status determination by UNHCR, and of the government of Canada in offering emergency resettlement to Qunun and arranging her travel were key to the successful resolution of this case,??? the agency said in a statement. Phil Robertson, the deputy Asia director of Human Rights Watch, cited Qunun?? ?s ?? ?courage and perseverance,??? adding: ?? ?This is so much a victory for everyone who cares about respecting and promoting women?? ?s rights, valuing the independence of youth to forge their own way, and demanding governments operate in the light and not darkness.??? Qunun was stopped on 5 January at Bangkok?? ?s Suvarnabhumi airport by immigration police who denied her entry and seized her passport. After barricading herself in an airport hotel room, her social media campaign attracted enough public and diplomatic support to encourage Thai officials to admit her temporarily under the protection of UN officials, who granted her refugee status Wednesday. Qunun?? ?s father arrived in Bangkok on Tuesday, but his daughter refused to meet him. Surachate said the father, whose name has not been released, denied physically abusing Qunun or trying to force her into an arranged marriage, which were among the reasons she gave for her flight. Surachate said Qunun?? ?s father wanted his daughter back but respected her decision. ?? ?He has 10 children. He said the daughter might feel neglected sometimes,??? he said. Qunun?? ?s plight has emerged at a time when Riyadh is facing intense scrutiny from western allies over the killing of the journalist Jamal Khashoggi at the Saudi consulate in Istanbul and the humanitarian consequences of its war in Yemen. Qunun had previously said on Twitter that she wanted to seek refuge in Australia. The Australian foreign minister, Marise Payne, met senior Thai officials in Bangkok on Thursday and later said Australia was assessing Qunun?? ?s resettlement request.